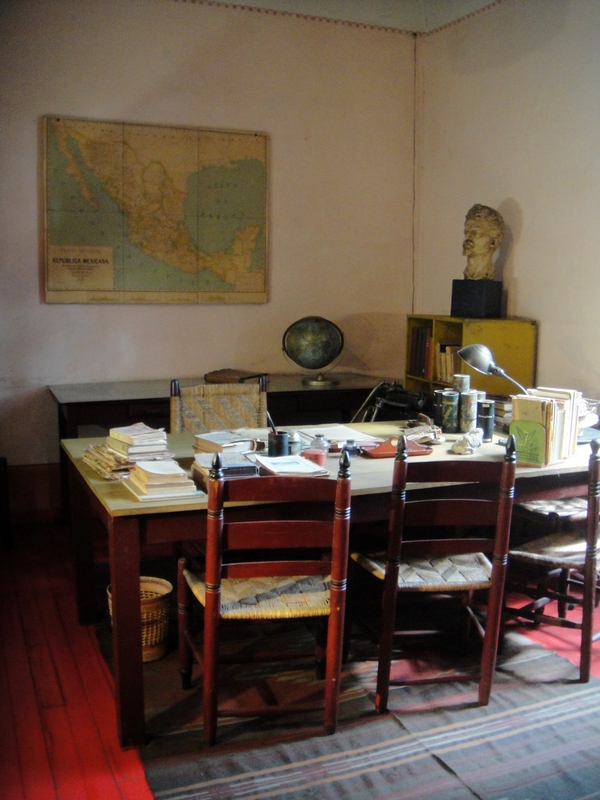 Leon Trotsky’s home in Mexico City is an interesting site to visit for two reasons… First, regardless of one’s political leanings, there is no disputing the historical significance of Leon Trotsky – Marxist revolutionary and theorist, Soviet politician, founder and commander of the Red Army, figure of blame for the brutal crushing of the Kronstadt rebellion, fierce opponent to Stalinism – and it is interesting to see where and how he lived (and died) in Mexico City. 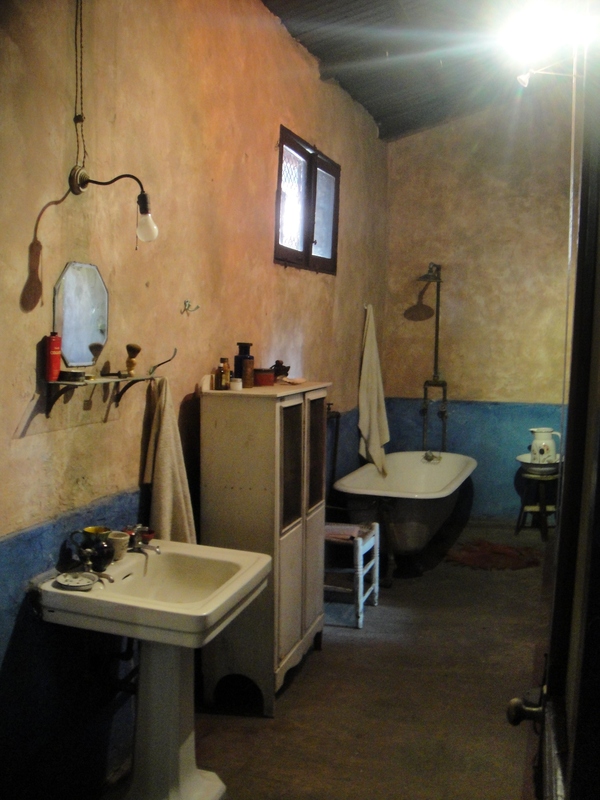 And, secondly, it is interesting to see what life in a well-to-do household in Mexico City in 1940 was like. 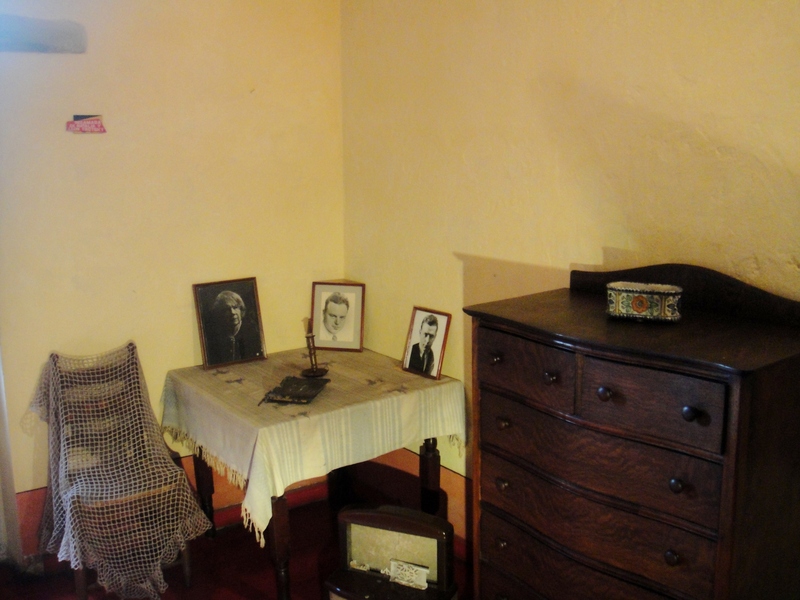 The home was essentially frozen in time following Trotsky’s death on August 21, 1940 and so, when visiting, one very much feels as if they are stepping back into that era. 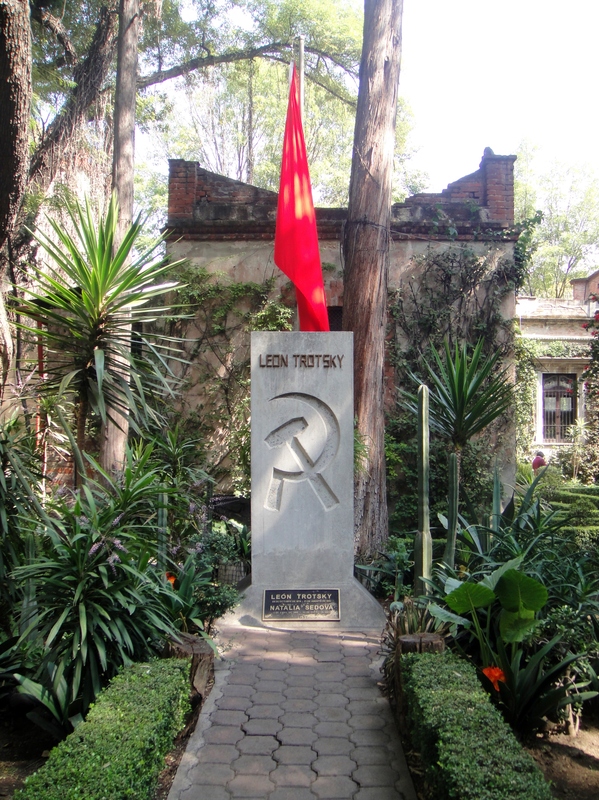 By the time Leon Trotsky and his wife, Natalia Sedova, arrived in Mexico City in 1937, Trotsky had not only lost the battle with Joseph Stalin to direct the course of communism in the Soviet Union, but also all four of his children, and many other relatives as well. After nearly a decade of wandering exile, they were greeted and taken in by Diego Rivera and Frida Kahlo. 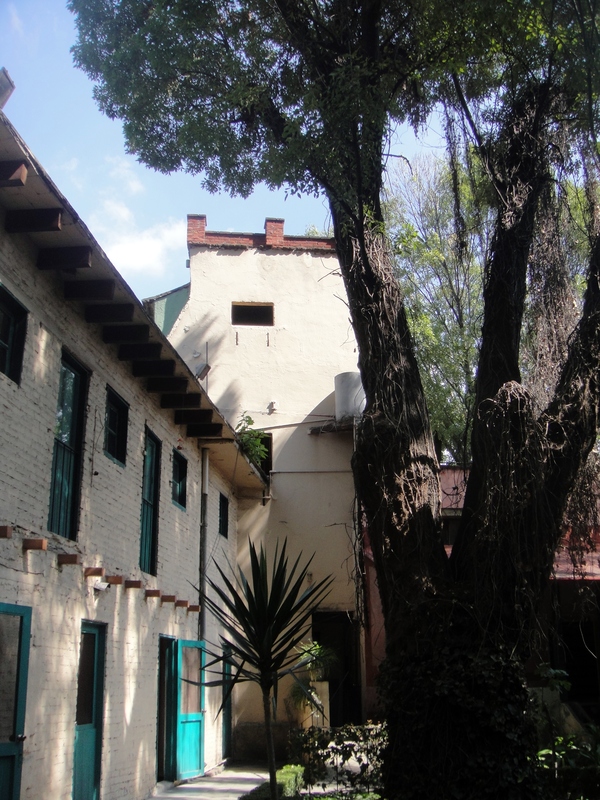 Trotsky and his wife stayed at Frida’s Casa Azul (Blue House) until an affair between Kahlo and Trotsky made things a tad awkward, and the Trotskys moved five blocks down the road to Avenida Rio Churubusco. 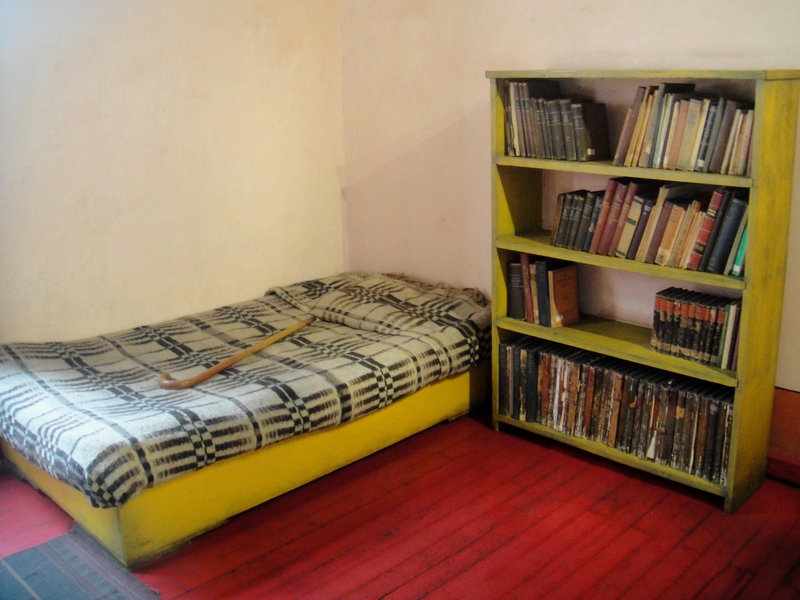 The house that was Trotsky’s Mexican refuge would evolve into a mini-fortress after Stalin gave orders for Trotsky to be killed and attempts to see this carried out were made. 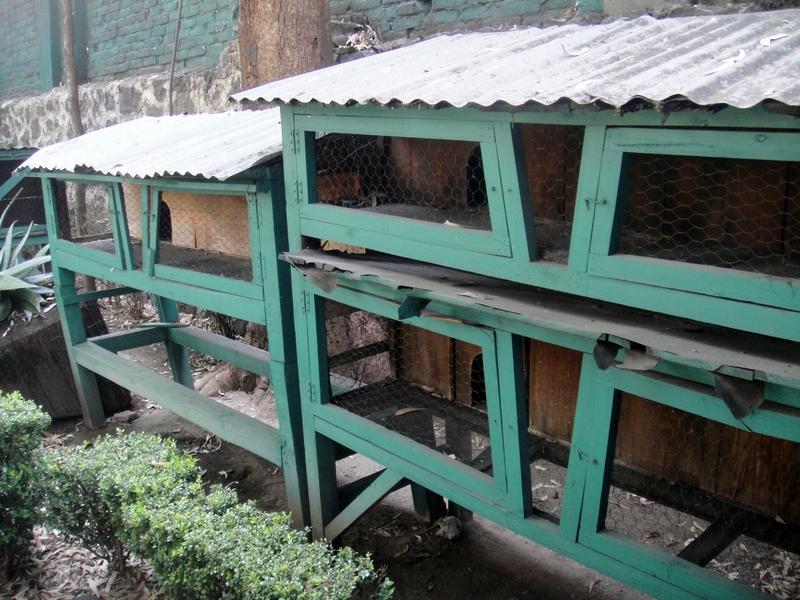 The Old Man, as he was known in the household, would rise early to feed the chickens and rabbits he kept at the bottom of the garden, and then immerse himself in his work, stopping only for short naps and collective meals. Most of his working hours were spent on a biography of Stalin, as he had been given a substantial advance in dollars, or planning the one he really wanted to write about Lenin. 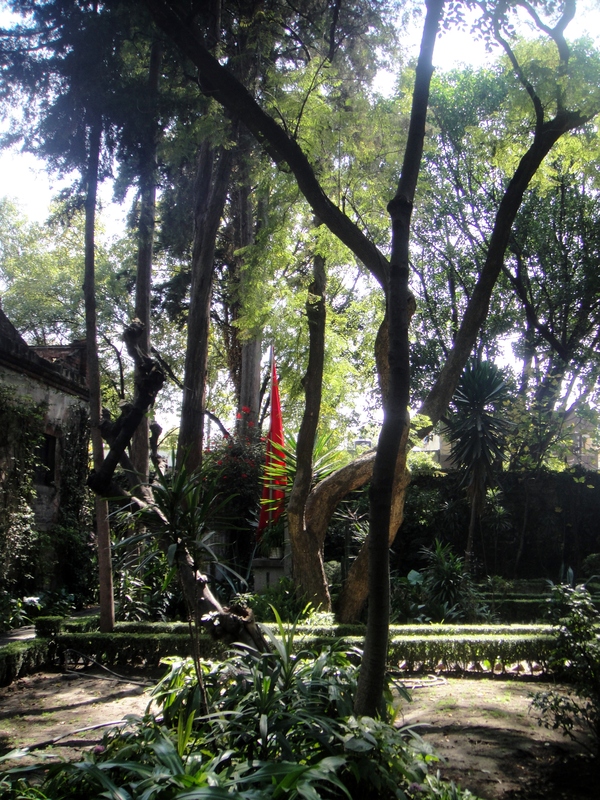 But there were still games in the garden on Sundays, trips to the countryside to collect cacti, and outings to the cinema – at least until May 24, 1940, when 20 gunmen, led by Mexican muralist and Stalinist David Alfaro Siqueiros, burst into the house and clumsily tried to gun Trotsky down. 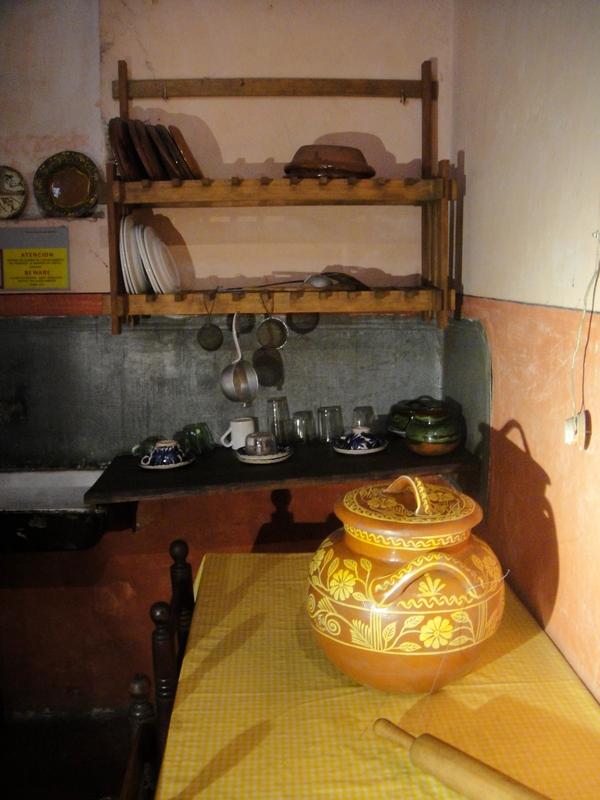 The kitchen underlines how rustic and austere Trotsky’s lifestyle was in Mexico and how Natalia and he tried to adopt Mexican customs in their new life. They both apparently enjoyed visiting traditional markets to buy their food and kitchen utensils. There used to be a window on the east wall, but it was bricked up after the first attack because it faced Morelos Street. 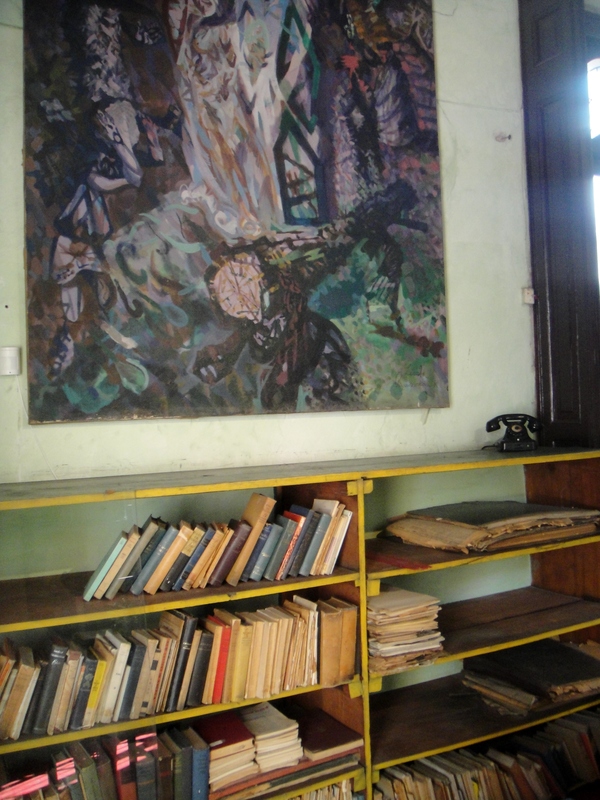 The books are part of Trotsky’s and Natalia’s library. Natalia also used to work in this room. 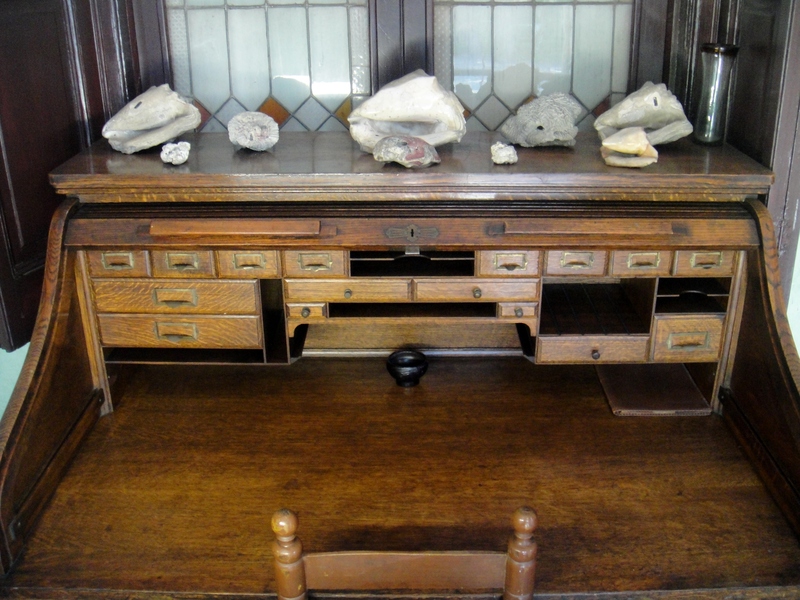 Her desk is the one next to the tall bookcase. The two windows, which face Morelos Street, are bricked up halfway. And, at one end of the room, the old portico, which faced Viena Street, is bricked up completely. Otto Schussler, Jackie Cooper, Harold Robbins, Charles Cornell and Fanny Ivanovich worked here during the last months of Trotsky’s life. Joseph Hansen, Trotsky’s old collaborator, joined the staff in May of 1940. The tables were always covered with papers, newspapers and magazines. Trotsky recorded some of his works on the Ediphone machine (in wax cylinders), which is on the table on the back, and Fanny, his secretary, would transcribe them using an Underwood typewriter. 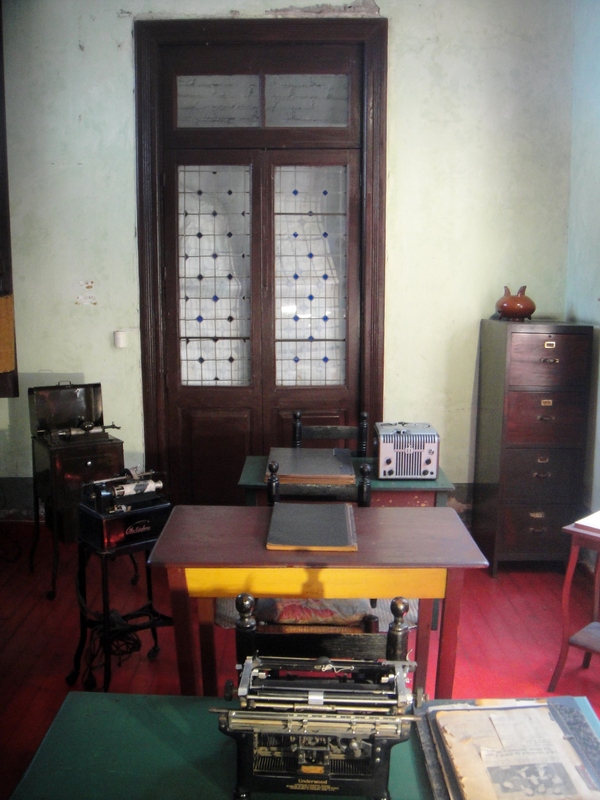 This is the room where Trotsky worked tenaciously for at least ten hours a day… This was also the scene of the Russian revolutionary’s final fight with his assassin, Ramon Mercader del Rio, who on August 20th, 1940, struck Trotsky a mortal blow in the head with an ice axe. 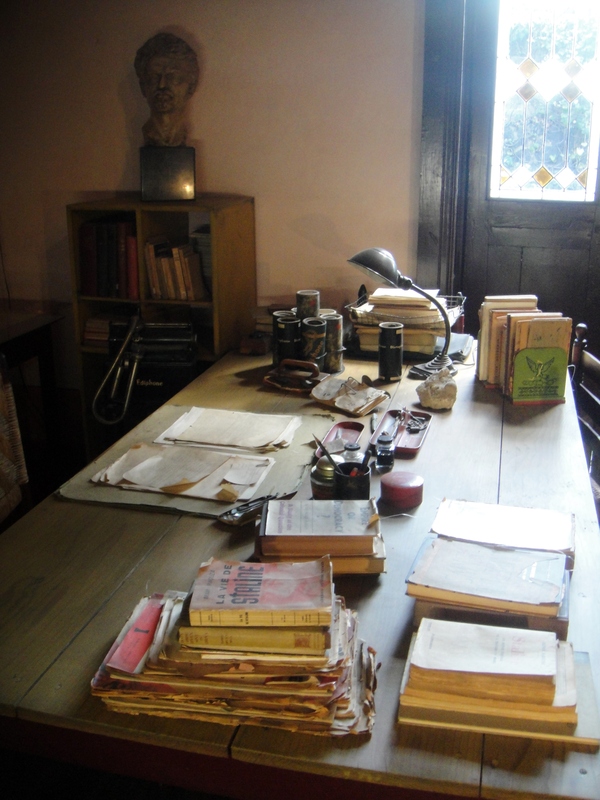 The table is covered with books that belonged to Leon Trotsky, who in the last months of his life, was working on the manuscript which would reveal the hidden side of the Stalinist government: Stalin’s biography, which was left unfinished due to Trotsky’s untimely death. 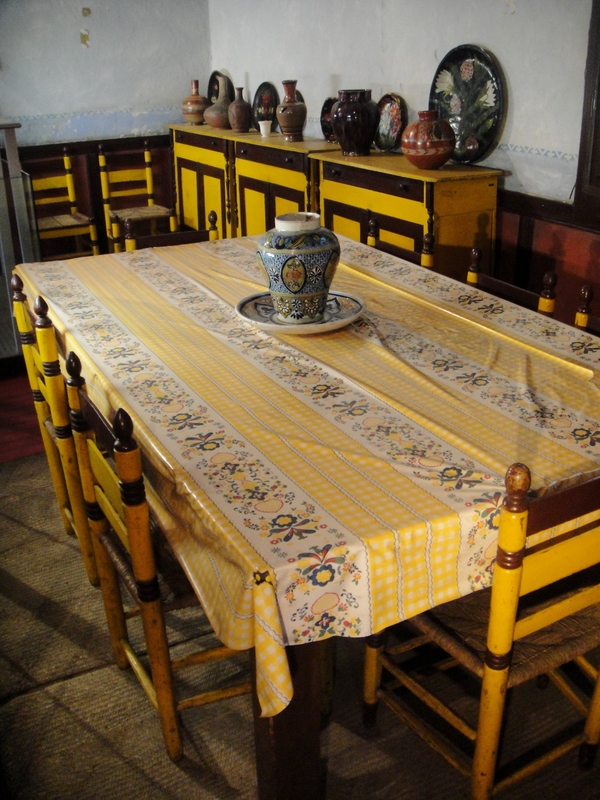 Next to the table can be seen the Edison Dictating Machine dictaphone, where Trotsky used to record his work in wax cylinders like those that are on the table. On the north wall of the study is the largest bookcase, which contains the main collection of Trotsky’s library: several of his works, some of Lenin’s works, essays by Marx and Engels and 86 volumes of the Brockhaus and Efron Russian Encyclopedia, among other works in different languages. 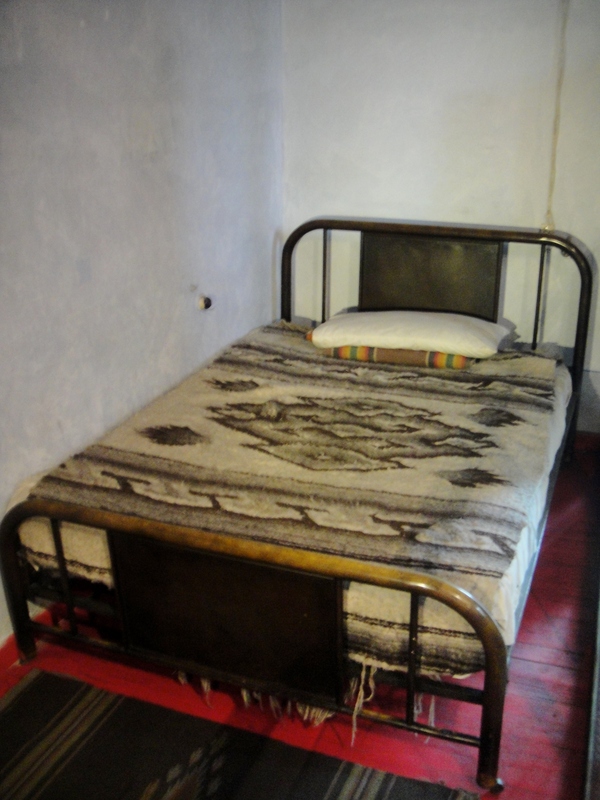 The bed that is now in this room replaced Trotsky’s and Natalia’s former bed, which had been riddled with more than fifty bullets in the early morning of May 24, 1940. As mentioned above, muralist David Alfaro Siqueiros was the leader of the group of twenty people that made this attempt on Leon Trotsky’s life. According to the information given later by the police, the attackers entered the house with the complicity of Robert Sheldon Harte, Trotsky’s chief of security, who opened the door for them. 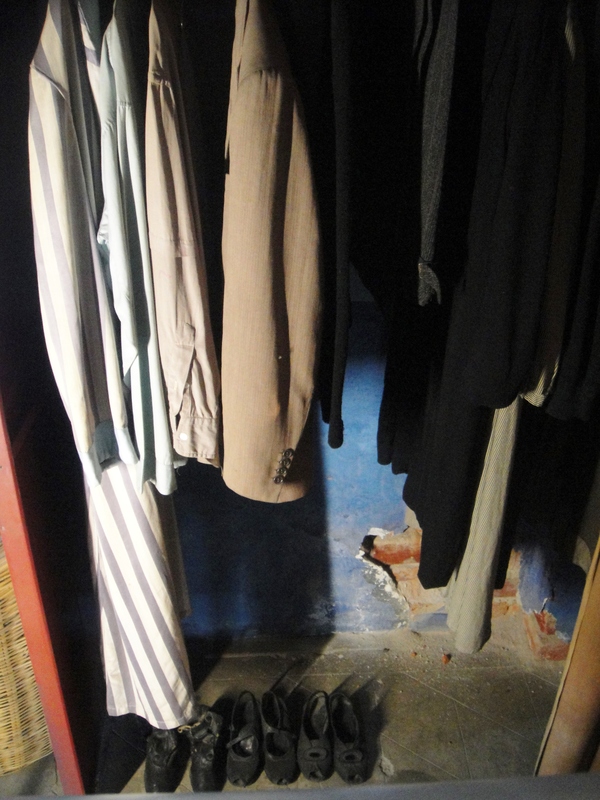 The men were firing powerful weapons, and hundreds of bullets ended up embedded deeply in the walls of the house. Siqueiros fired from the door that opened to the garden which is now a window; Spanish painter Antonio Pujol fired from the door to the study and Mexican painter Luis Arenal did so from the other door. 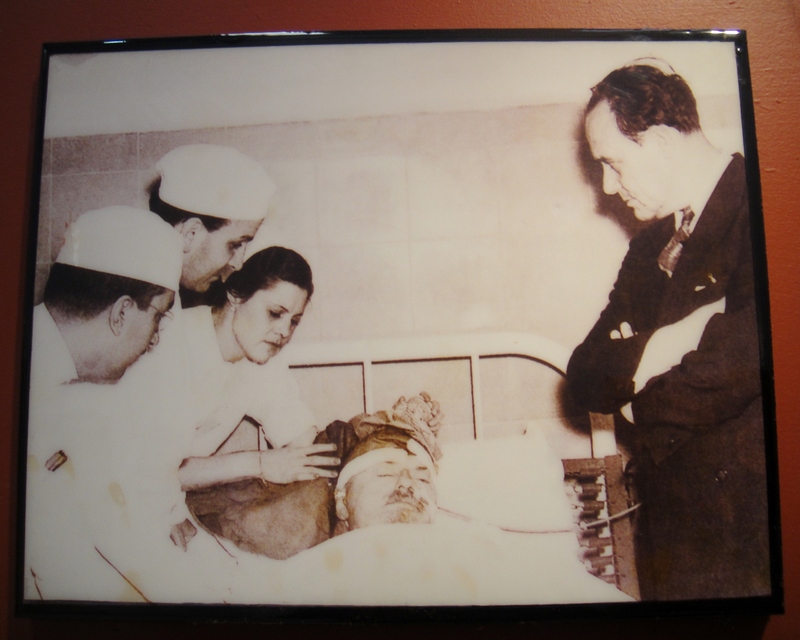 These three men alone fired almost 200 rounds which struck the bed and the walls (some of the bullet holes can still be seen in the north wall and above the headboard). Aside from assassinating Leon Trotsky, a secondary goal was to burn his archives, which is why incendiary bombs were also thrown inside the house. Following the assassination attempt, Mexican President Lazaro Cardenas ordered that the house be fortified. Metal doors were installed and, outside, alarm systems were improved. The bathroom/dressing room is long and narrow. 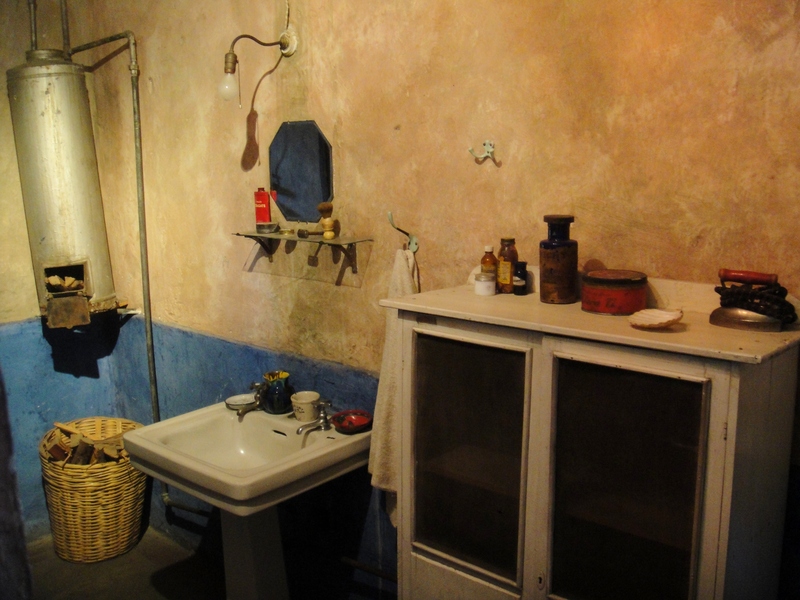 It has a tin roof and two entrances: one from the grandson’s room, and a second, armored one, from Trotsky’s and Natalia’s bedroom. 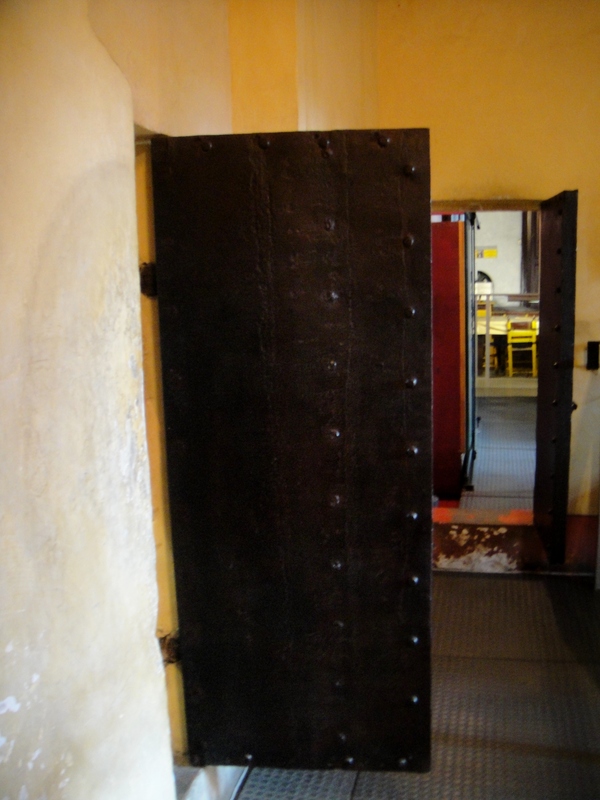 The interior of the house is somewhat dark and gloomy due to the bars and steel shutters on the windows as well as the fact that some of the windows were covered over with bricks following the first assassination attempt at the house. Trotsky’s grandson, Vsevolod Volkov (Sieva), is the son of Zina Bronstein (committed suicide in Berlin on January 5, 1933) and Platon Volkov (arrested in 1935 during the Great Purges and disappeared in the Gulag). Sieva arrived in Mexico to join his grandfather here in August of 1939. 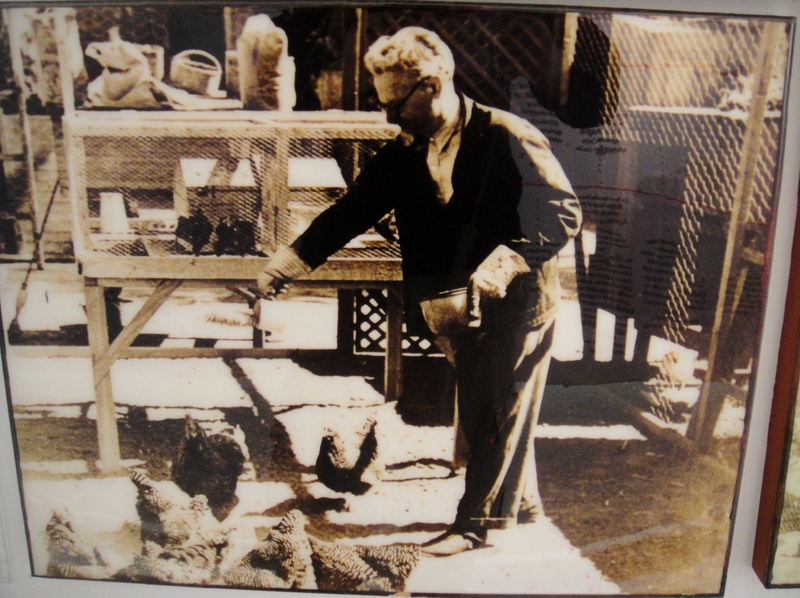 Vsevolod Volkov (Sieva) is still alive and is, today, the current director of the Trotsky Museum in Mexico City. “He never did anything slowly or half-way, laziness and depression were unknown to him. As an early advocate of Red Army intervention against European fascism in the late 1930s, Trotsky opposed Stalin’s non-aggression pact with Adolf Hitler. And we all know what a monster Stalin was… It’s interesting to speculate as to how history might look had Trotsky triumphed over Stalin and how many millions more might be alive today had he done so. Open 10-5 Tue – Sat. 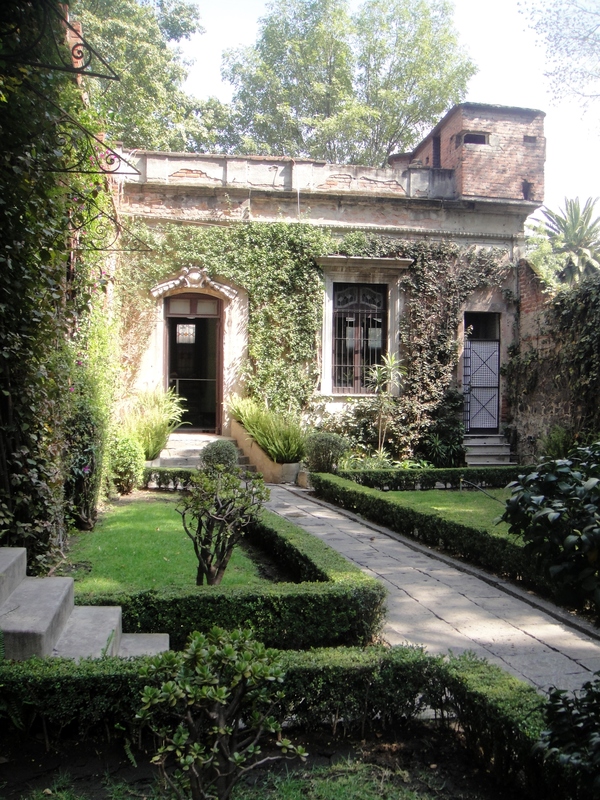 Also in the neighborhood of Coyoacan is the Museo Frida Kahlo (where Trotsky and his wife stayed before moving to the home profiled above) at Londres 247, Del Carmen (get off at the same metro stop as the Trotsky home). 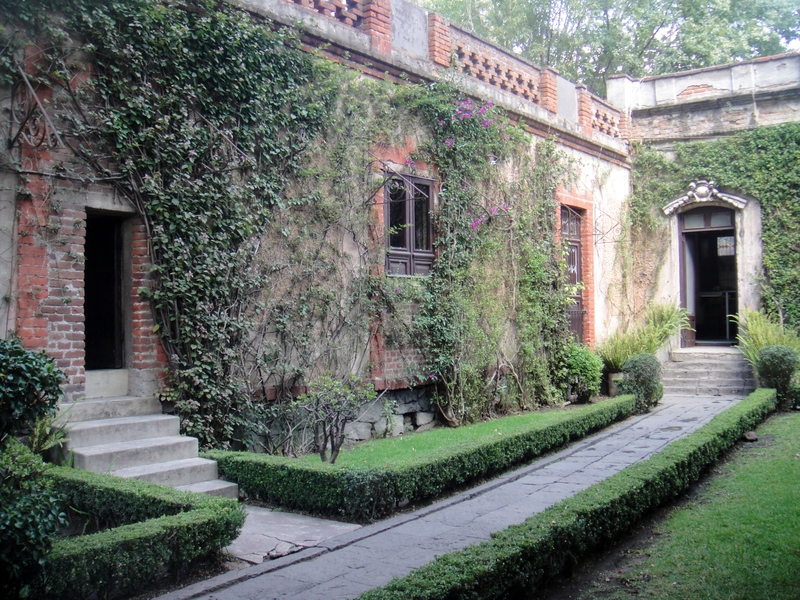 This house, the Blue House, is the house in which Frida Kahlo was born in 1907, grew up in with her family, and lived in with husband Diego Rivera in the later years. 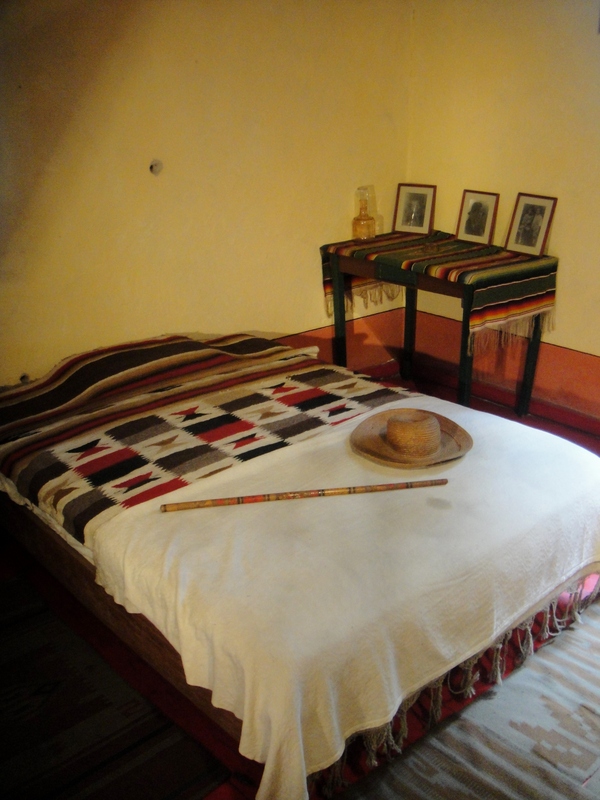 Kahlo’s life began and ended in Mexico City. 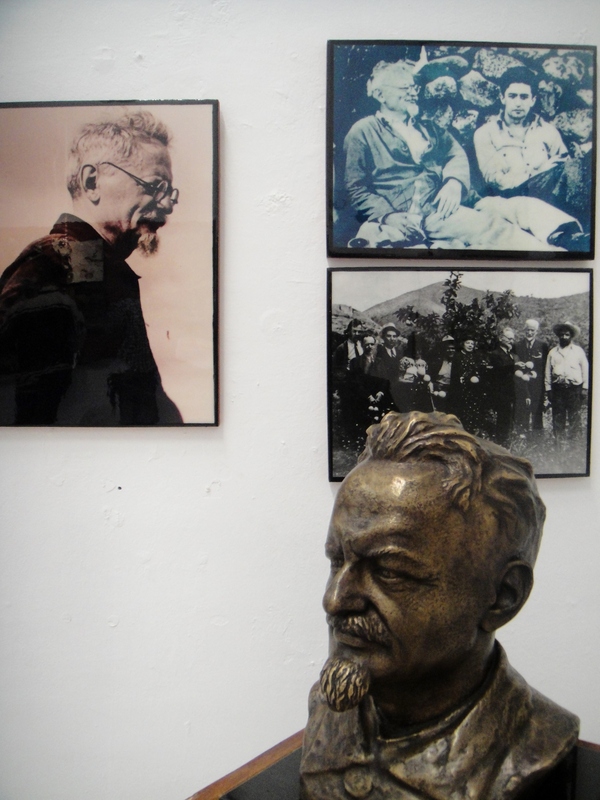 Tags: Communism, Leon Trotsky, Leon Trotsky Assassination, Leon Trotsky Home, Leon Trotsky Museum, Mexico, Mexico City, Museo Casa de Leon Trotsky, Museo Leon Trotsky, Natalia Sedova, Vsevolod Volkov. Bookmark the permalink. If we go to his grave site can we urinate on it? Great article mate! It’s a shame Trotsky never used that letter that Lenin wrote before he died to remove Stalin, big mistake, a real juxtaposition of world history at that time…..speaking of residences of prominent soviets…..any chance of ever investigating Korolevs residence in Moscow. From what they say in James Harfords book “Korolev: How one man masterminded the soviet drive to beat America to the moon”, the residence is preserved as it was up untill his last days in Jan 1966….his office has a map of the moon on the wall and apparently Korolev spent a lot of time looking at that map, obviously planning landing sites for the N1….. I haven’t properly explored Moscow yet, Emir, but Korelev’s residence definitely sounds like the sort of thing I would want to check out. Soviet space programs? Sign me up… I have duly added it to the list. Absolutely fantastic. Thanks so much for the project. Great work.